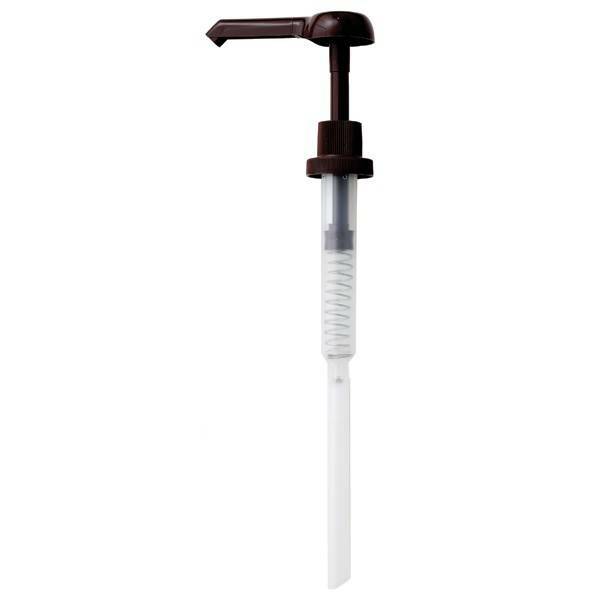 Monin Sauce Pump 1/2oz, 15ml shot - Giving you the perfect amount of sauce every time. Monin sauce dispensing pump replaces the cap of the bottles of sauce keeping the product fresh. Suitable for use on 1.89ltr bottles of Monin sauce. This Monin Pump will dispense on average 15ml of Monin sauce per push. Simply press down the Monin Pump to dispense one 'shot' of sauce. Please ensure to wash the dispensing pumps before initial use and between changing bottles, even if the same flavour is being used.